The app is now available as an open beta. If you didn't get into the early access program before, you can now download it normally from the Play Store. 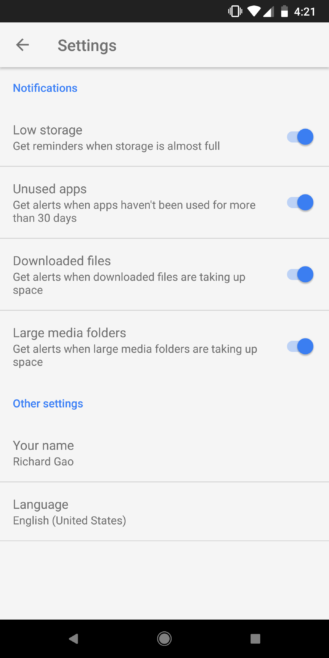 A ton of devices these days have built-in 'cleaners,' and it looks like Google has been developing its own. 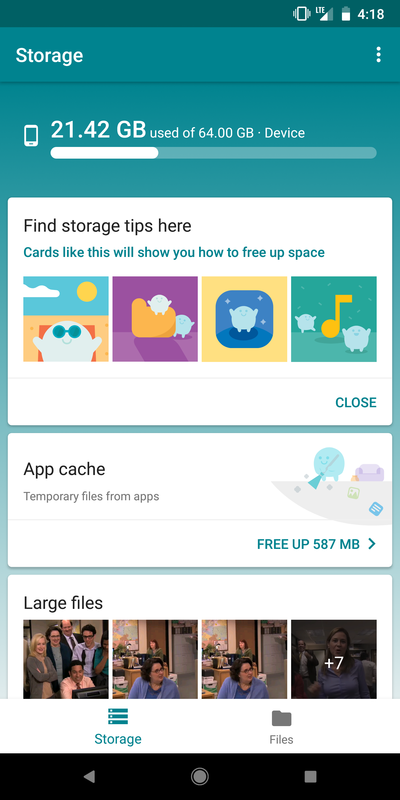 It's called Files Go, and judging from the screenshots and the description, it does a lot of the things that phones like the Galaxy S8 have within the system. The beta program is currently closed, but we've got the APK. 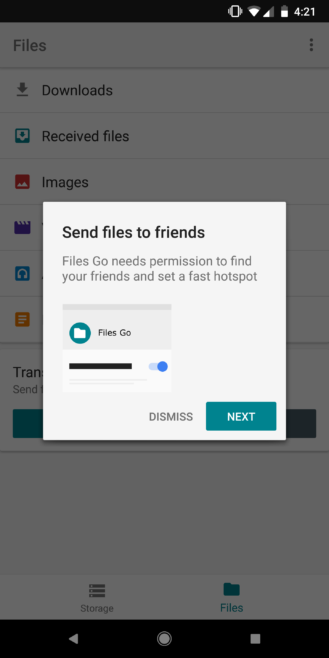 Files Go appears to be part of the Android Go initiative that Google announced at I/O this year. Android Go aims to make the OS run more smoothly on low-end hardware, and Files Go's small 10MB stature certainly seems to reflect that. If this isn't preinstalled on Android Go devices, it'll probably end up in the Play Store category for apps beneficial for the platform. I've been rewatching The Office lately. Help you free up more space in many more ways than before. Suggest removing apps you no longer use to keep your phone fast & feeling new. Recognize and help you remove the spam & duplicate images. Find your important documents without cumbersome and manual effort. Share your files offline - fast & secure - with the tap of a button. 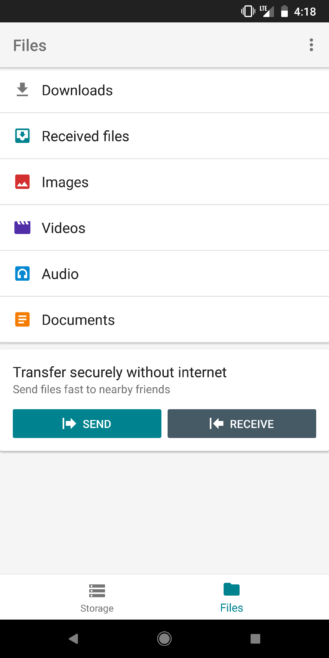 Most of these features are pretty standard with the exception of the ability to share files offline between friends, which seems pretty unique and is done by setting up a 'fast hotspot.' All things considered, though, this is a good-looking file manager that has some useful functions. 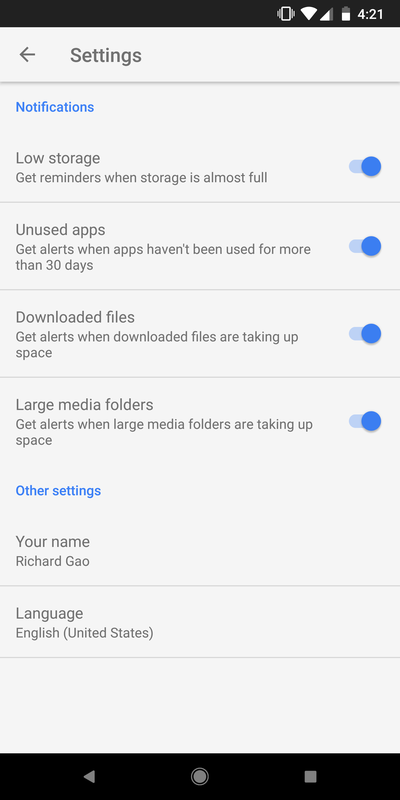 Google devices have always been lacking a solid file manager, and Files Go fixes that in a package less than 10MB large. 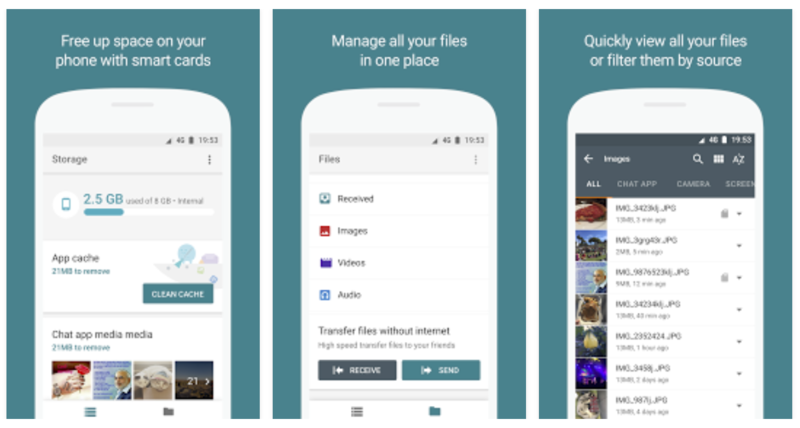 Files Go is live on the Play Store, though you'll get a notification that the early access program is full if you try to download it. No worries, though; we've got the Files Go APK over at APK Mirror ready for your perusal.